Features 7′ high Fort deck with standard Peak Jumbo series rock wall, chain ladder, rope ladder, trapeze bar, and tire swivel swing. 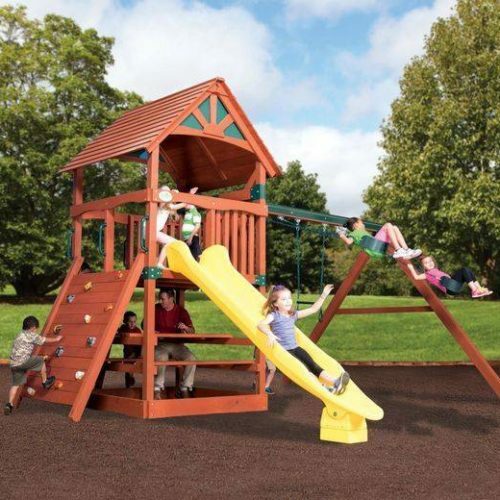 Also: Tarp Roof, Belt Swings on a steel reinforced 10′ high beam, 14′ Rocket Slide. Features 7′ high Fort deck with the standard Peak Jumbo series features: huge deck, rock wall, chain ladder, rope ladder, trapeze bar, and tire swivel swing. 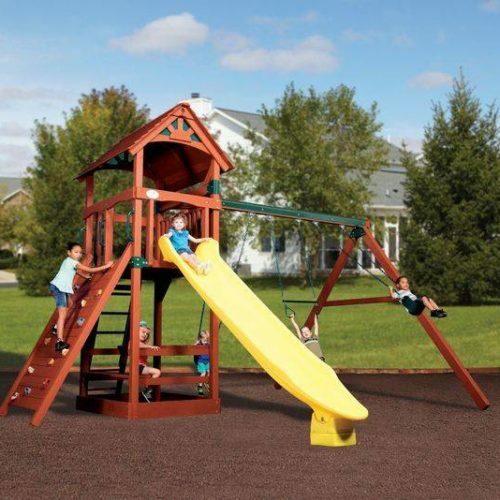 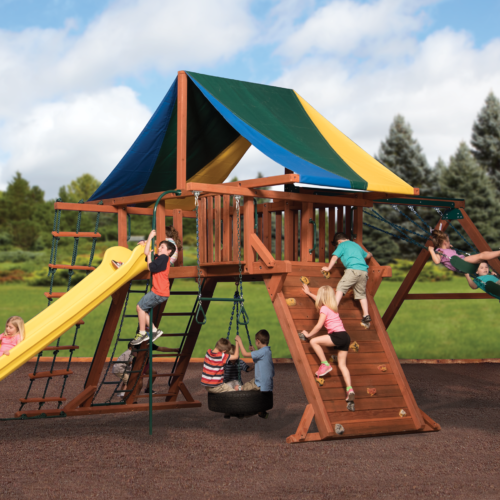 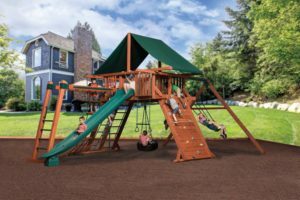 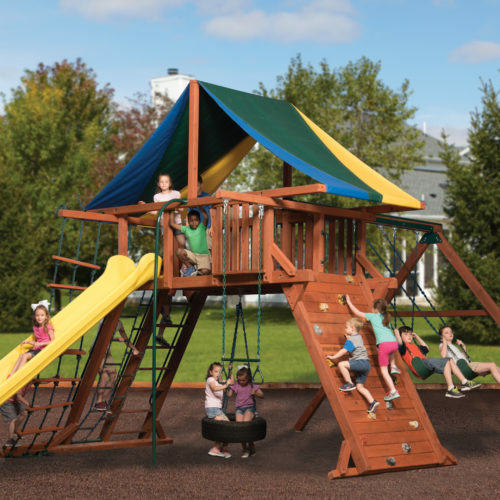 Titan Peak Jumbo 2 has a tarp roof, 14′ Rocket Slide, monkey bars, and a 10′ high swing beam.